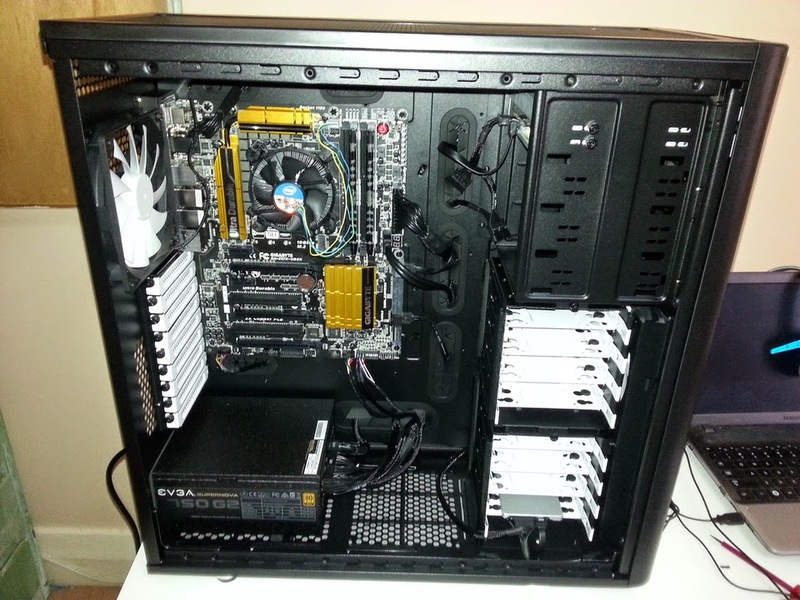 Put together a new rig to form a core gaming and test machine. 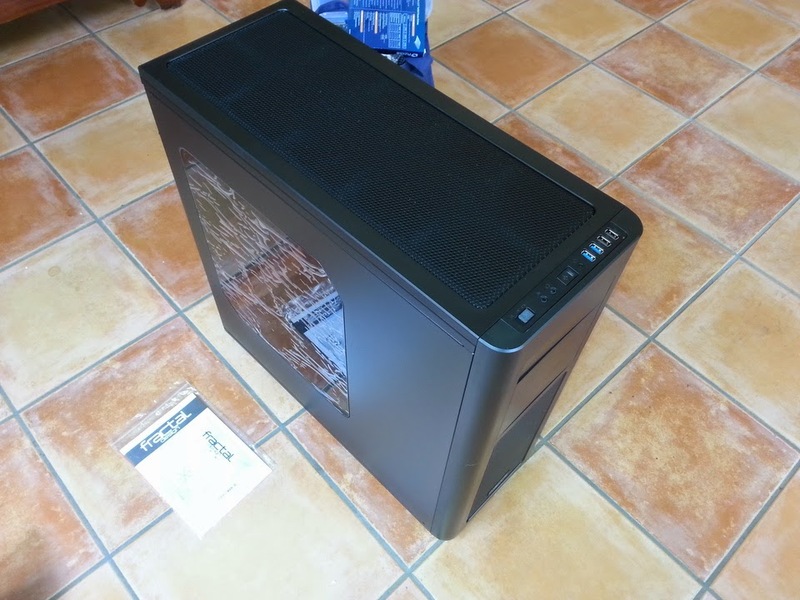 First up is the impression of the case, the Fractal Arc XL, big-brother to the Arc Midi I used last month. 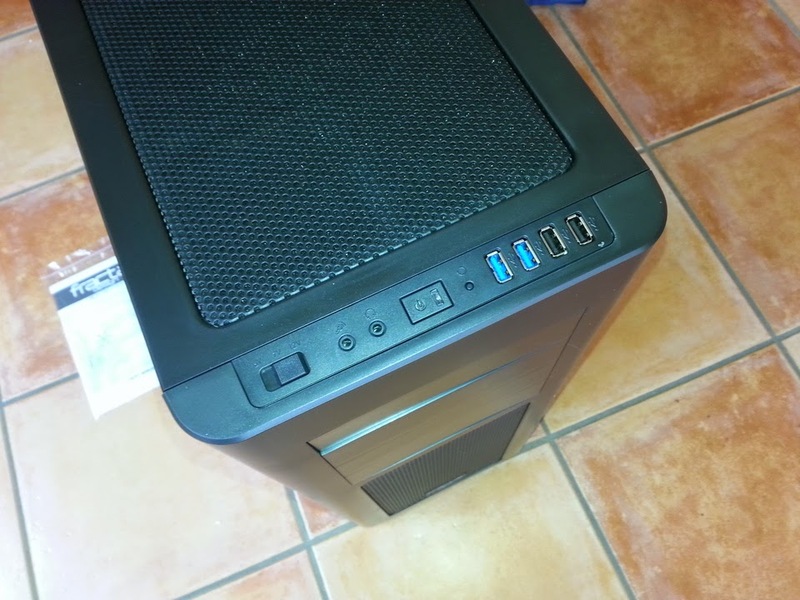 It's a big spacious case, looking very similar to the Midi. The top panel has a couple of extra USB ports. Just like the Midi, the XL is great to build in. Spacious, good quality all round. The feet on the case come with stoppers that don't slide very well. My machines sit under a desk, and when sliding it in place one of the stoppers came off. The built-in fan controller requires a 4-pin molex power connector. I had to connect a dedicated cable to the PSU purely for the fan controller. The HDD caused the front panel to buzz/vibrate. 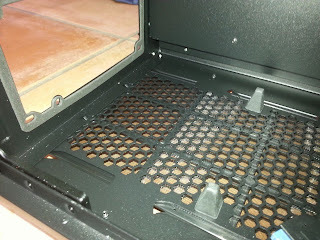 I had used the rubber anti-vibration rings to install the HDD, but had them done too tight. After loosening them off, the noise went away. 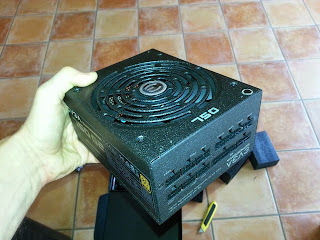 The PSU is mounted on rubber stands &emdash; haven't seen that before. Made by OEM SuperFlower, I got this guy on the back of some really strong reviews at JonnyGuru and TechPowerup. Comes with a lot of cables and velcro cable ties. 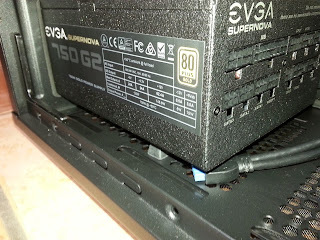 The modular cabling is nice, but as above with the fan controller, sometimes you need to use "just one more" for that extra little thing you need to connect. Mounting it was painless. As noted above the XL has rubber mounts for the PSU to sit up on. I can only assume this is for a little extra airflow to the PSU fan. 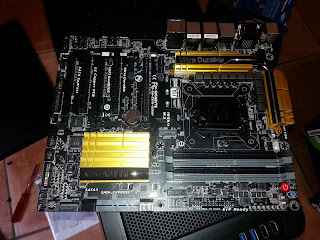 I kinda knew that while this was a solid board, it had a potential issue at stock speeds with an unlocked chip like the 4790K. Thought I'd give it a go anyway. It's a nice looking board with lots of features. Only thing of note really is that it was somewhat thinner than I expected. It felt no different to other cheaper boards like the H97 line, whereas I've heard it claimed in the past that the PCB on expensive Z boards is thicker. Didn't seem to be the case, but then I didn't pull out any of my older (cheap) boards to do a direct comparison. The board is plenty strong enough though. Update 21/11/2014:Should note there is an issue with the UD5H and the 4790K at stock settings — details at this thread. 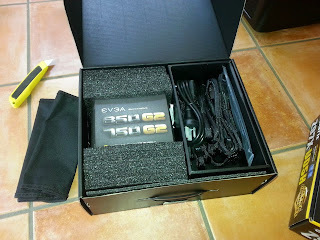 Putting it together, it was a nice case to use with plenty of cable routing options. Finished product looks fairly neat even without tying any of the cables down. It's using the stock cooler. I've got an aftermarket cooler to put on, but my plan was to test out the stock cooler with the 4790K and UD5H. Will document later.